Usually medieval illustrations look quite different from those in modern comic books. 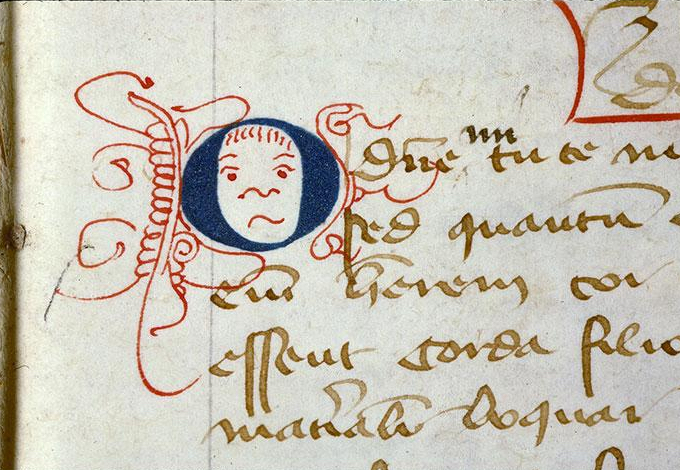 This one, however, breaks with that rule: it is almost 600 years old, yet it looks like it was drawn yesterday. It shows a stereotypical comic book expression, of a pseudo-offended person. The spiky hairdo adds to the eerily-modern look of this funny face. Zoink!